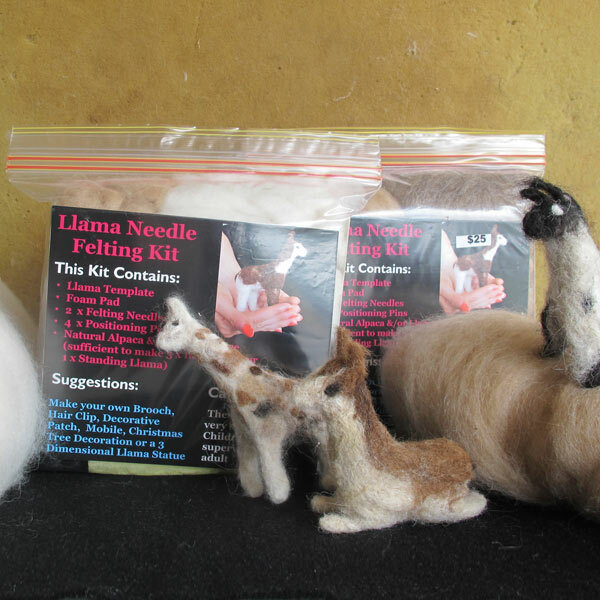 Needle Felt your own Alpaca or Llama in real alpaca or llama fleece! Needle felting is a quick and easy craft. You can needle felt for just a few minutes, while you are waiting for your doctor’s appointment, or your kid’s football game, or for hours on end. What a great Christmas, Birthday or Mother’s Day gift for someone who has everything! 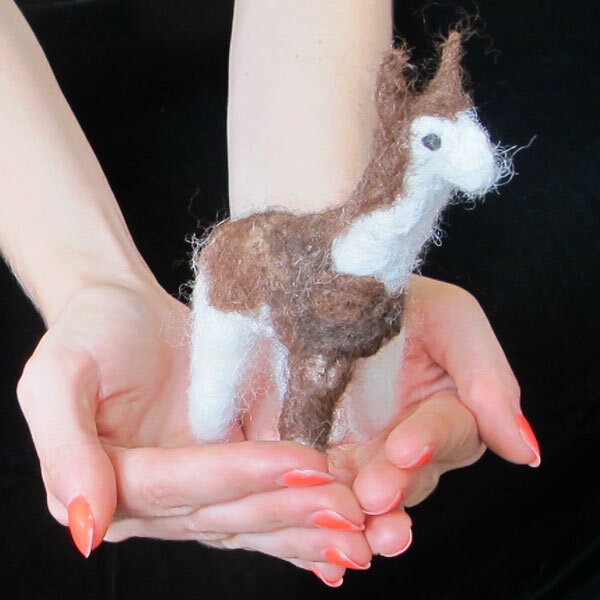 Our Needle Felting Kit contains everything you need to make at least one three dimensional alpaca or llama and the template enclosed can be used over and over again.